After bearing witness to an absolutely epic performance by Shakey Graves at the Charleston Music Hall Sunday, I’ve been on an alt-country-folk-Americana-whatchamacallit phase…particularly that which still busts some heavy guitar. In my search to not just feature Shakey Graves (again) this week, I came across Houndmouth’s new Little Neon Limelight. 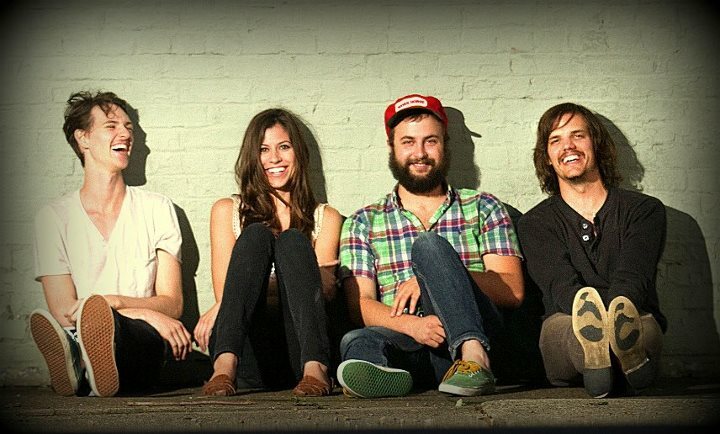 New Albany, Indiana’s Houndmouth is a good ol’ time. Released March 17, Little Neon Limelight is an album fit for springtime and outdoors with its dancing between the emotional and whimsical. While the album, as a whole, has more pop tendencies than some previous Houndmouth releases, Little Neon Limelight still distinguishes itself from The Lumineers, Head and the Heart and Avett Brothers of commercial radio by committing slightly more to the indie/alternative side than folk. They’re probably only one whistling, hand-clapping hit away from even bigger times. Tune in to the Diagnosis on WUSC 90.5 FM or wusc.sc.edu at 6 p.m. to hear Houndmouth and other picks for the week.